We're a virtual company made up of tech experts from across the globe. We live and breathe fitness tech. We've tested a bunch of smart scales and know exactly what goes into making a great one. The best smart scale for most people is also the best alternative to Fitbit Aria 2. At $40, it's hard to beat the Eufy BodySense Smart Scale for most people. It measures many metrics that the Aria 2 does not, and its app is leaps and bounds better than those from other "cheap" smart scales. Who should buy this smart scale? The Eufy BodySense is great for quite literally anyone who wants to regularly keep track of their weight, BMI, body fat percentage, and other physical health measurements. The BodySense even syncs with your Fitbit account, so even if you use a Fitbit tracker, you can still see your weight info from the BodySense scale all on your Fitbit dashboard. There is one caveat: Since this scale (as do most smart scales) uses bioelectrical impedance to measure body fat percentage, pregnant women and anyone with a pacemaker or other implanted device should not use the BodySense. Is it a good time to buy this smart scale? Yes. The Eufy BodySense only came out in 2017, so it still has a long life left. The updates you'll see for the foreseeable future will likely be in the companion app. There also hasn't been any word about a second-generation model coming any time soon. You could spend the $130 on the Fitbit Aria 2, and you'd probably have a great time with it. There's no doubt that it's an excellent smart scale. But for $90 less, you can measure even more than just weight, BMI, and lean mass with the Eufy BodySense, and you can still connect the EufyLife app to your Fitbit account. So your weight, BMI, and lean mass will still appear on your Fitbit dashboard as though you had the Aira 2. 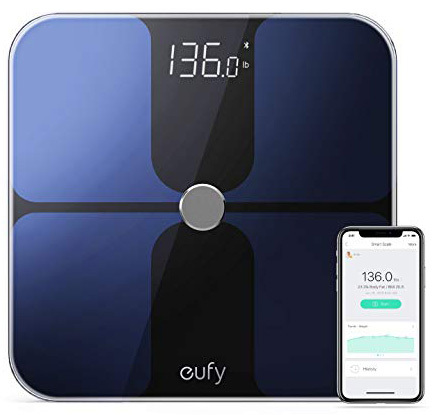 The Eufy BodySense also happens to be the most accurate body scale around, with reviews and testimonials constantly praising its consistency. And though it may not matter to most people, the Eufy BodySense just looks great. It has a sleek, modern design that should complement just about any decor. The BodySense connects with your Fitbit account anyway, so why spend $90 more? Yes, the Eufy BodySense lacks a safe mode for pregnant women and people with implanted medical devices, and yes, you do have to have the app open at weigh-in for things to sink, and, yes, you can't delete erroneous readings from the app. But these are all very minor inconveniences when you're getting such a kickass scale for so little. If you're not sold on the Eufy BodySense and you're really not into the Fitbit Aria 2, then the absolute best alternative would be the Nokia Body+. The Nokia Body+ goes above and beyond — for a price. The Nokia Body+ does everything the Eufy BodySense does, but with a nicer display, which includes daily weather forecasts. If you want a few more bells and whistles than you get with the BodySense, then go for the Body+. It may be worth the extra $60 for many people. The Nokia Body+ was previously called the Withing Body Scale, and it's been one of the best smart scales you can buy since it was released. It syncs automatically with the Health Mate app, so all you have to do is weigh in, and it even features in-app nutrition tracking to help you hit weight goals. It can handle up to eight uses, and it measures all the metrics you could want. For under $30, this scale is accurate and feature-packed. RENPHO's scale is the best budget smart scale you can buy. It measures 11 body health components; connects to Fitbit, Apple Health, and Google Fit; and in many Amazon reviews, it's proven to be very accurate. 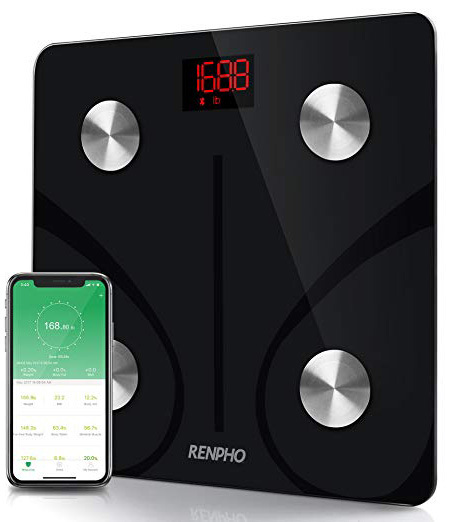 If you don't even want to spend $40 on a scale, then settle for $28 with the RENPHO scale. Like the Eufy BodySense, its price really does belie its quality. It shows you weight, BMI, body fat %, lean mass, water weight, and more. The RENPHO app isn't the best in the business, but it gets the job done, and for $28, what more can you ask? 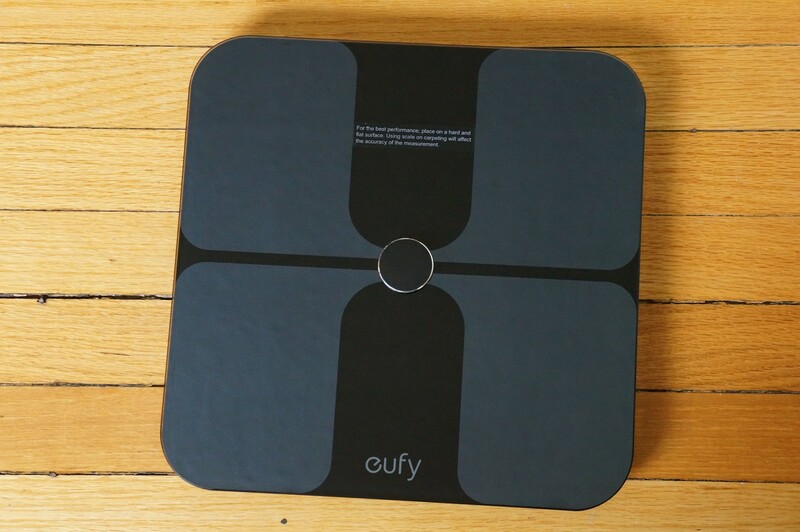 The Eufy BodySense is the best smart scale, period — not just the best alternative to the Fitbit Aria 2. It measures everything you need to get an overall picture of your weight. supports many users, has an excellent app, and it's only $40. Any shortcomings are made up for with the price tag alone. Marc Lagace is a writer at Mobile Nations who eats, sleeps, and breathes all things smart home. He's tested many a smart scale, and lost 25 pounds in the process. Bryan M. Wolfe is a gadget fanatic that loves smart inventions for the home, especially mobile devices and smart home devices. Mick Symons is a former Mobile Nations writer. He knows weight is just a number, but that doesn't stop him from stepping on the scale every day — just in case.